As part of SAS’ sustainability work, the airline’s award-winning ‘New Nordic by SAS’ inflight menu, serving locally produced and seasonally available ingredients, will be expanded from 9 November 2018 to include a vegan dish for a two-week trial period. “Sustainability is a main focus for SAS and as we see an increasing interest in a plant-based diet in the society, it is important to have a vegan dish on a trial as one of the regular meals“, says Karl Sandlund, Executive Vice President Commercial. Starting November 9 for a two week trial period, the vegan menu will be served on board. Served in the New Nordic by SAS Cube, travelers can enjoy ‘thyme roasted Hällestad mushrooms with a lentil and beet flavored wheat salad tossed with black beans from Öland and tarragon, sliced golden beetroot and hummus made of yellow Vretärt pea from Bjälösa, served with parsley vinaigrette and vinegar roasted buckwheat’. The New Nordic by SAS producers keep their products as free as possible from unnecessary additives, are quality driven and are passionate about bringing the best to the table. 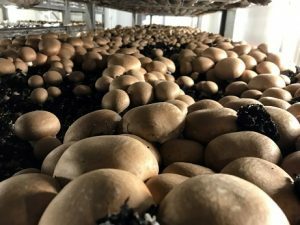 For example, one of the main ingredients in the vegan menu are mushrooms handpicked at Hällestad in Skåne, Sweden’s only 100% organic mushroom producer. 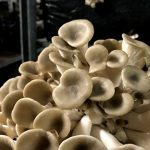 During the trial period of the vegan menu, two tons of mixed mushrooms – champignon, portobello and oyster mushrooms – will be transformed to create an exclusive meal served in the innovative designed and price winning ‘SAS Cube’. “SAS always strive to pioneer the next generation of traveling. Our vision is to continuously develop and explore new ways to make life easier for our travelers, by offering innovative and desired services and this is one of them,” says Karl Sandlund. During the two weeks trial period, the vegan menu is included for SAS Plus passengers on more than 4.000 European and Scandinavian flights of 80 minutes or more. Last year, the award-winning New Nordic by SAS food concept was launched. The menus are prepared with focus on seasonal and locally sourced high-quality ingredients from small Scandinavian producers/suppliers. The menus feature Scandinavian specialties with a twist, and when possible, are based on organic raw materials and sustainable fish and shellfish. In October 2018, renowned lifestyle and travel journal Monocle Magazine crowned the New Nordic by SAS food concept “Best in-flight meal packaging” in the Travel Top 50, 2018/2019 survey.